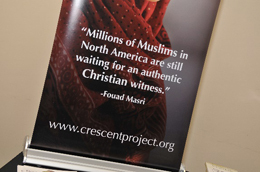 Last month, we had a sold-out crowd for our workshop on “Understanding Islam.” Mr. Fouad Masri, founder of the Crescent Project, led the discussion that provided an overview of Islam, Muslim evangelism, and tools for an effective witness. 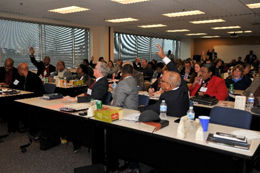 This was the inaugural session for the Project Bridges – LBC |Capital Workshop Series. As more and more Muslims are moving into the Washington, D.C. metro region, attendees felt the discussion was quite timely and helpful to their ministry work. Many Christians have responded to Muslims in various ways, but all too often, without the compassion that characterized Jesus. The seminar sought to replace fear and intimidation with love and gentle boldness. A key point in the discussion highlighted the fact that while Christianity and Islam are different, they also share similarities. Mr. Masri helped attendees understand how to use those similarities to build a bridge to share the gospel of Jesus Christ. There’s no time like the present to dialogue about developing a strong Christian witness with our Muslim neighbors! We salute our 2015 recipients of the Certificate of Ministry Leadership! A total of 23 individuals participated in all three of last year’s seminars presented by Regent University and Project Bridges. Here is the list of recipients. If you know or see any of them, please offer a big congratulatory hug! Minister Sabrina Roberts, Faith Walk Ministry, Inc.
Would you like to earn a Certificate of Ministry Leadership in 2016? 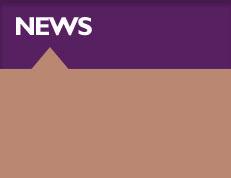 Click here to see how! As you may know, Project Bridges has hosted a benefit golf tournament for the last seven years. Our 2016 tournament will be held on May 12th at the Oak Creek Golf Course. Not only is this a perfect opportunity for fun and fellowship, but it is also an avenue for businesses, churches, ministries, and individuals to gain exposure as outstanding members and supporters of our community through sponsorship. We hope that you will share this opportunity with those in your network and/or consider being a sponsor, too. We have developed a set of sponsorships for all budgets and commitment levels. Check out the full details. click here. We are also quite pleased to have First Baptist Church of Glenarden as our presenting sponsor, and the Spring Contracting Group as a platinum sponsor. To see our current list of sponsors, click here. Saturday, April 16, 2016 | 9 a.m. – 3 p.m. The registration deadline is Friday, April 8. The registration deadline is Friday, April 22.